The percentage of adults involved in starting a business in Ireland grew in 2015 to 9.3%, with the renewed growth of the economy. 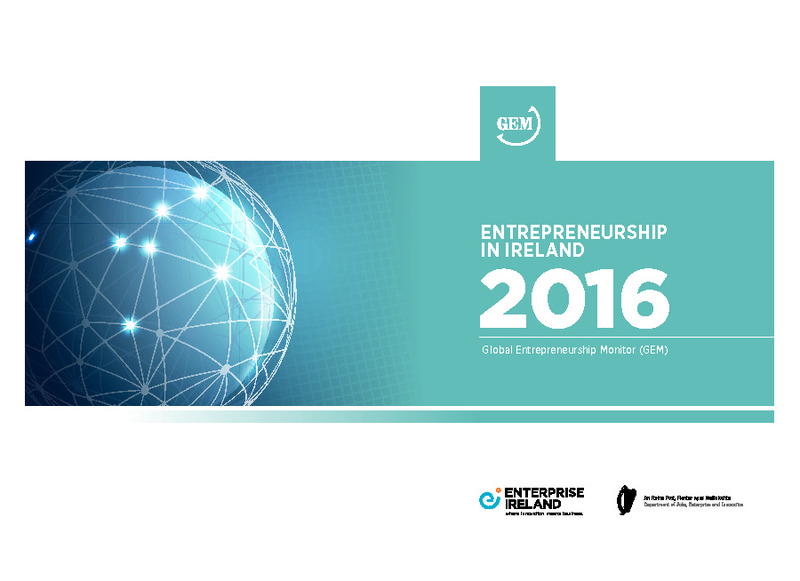 Since 2001 the rate of adults in Ireland involved in early-stage entrepreneurial activity has fluctuated between about 6% and 11%. Out of all the European countries, Irish entrepreneurs have among the highest job creation expectations (a third of entrepreneurs expect to create five or more jobs over the next five years) and entrepreneurs are twice as likely to start a business to pursue an opportunity rather than out of necessity. Despite this, just 39% believe there are good opportunities to start a business ( this is up from 28% in 2013 during the recession but lower than 2007 when it stood at 45%). Successful entrepreneurs are held in very high regard in Irish society, although just half of adults in Ireland believe that being an entrepreneur is a good career choice. 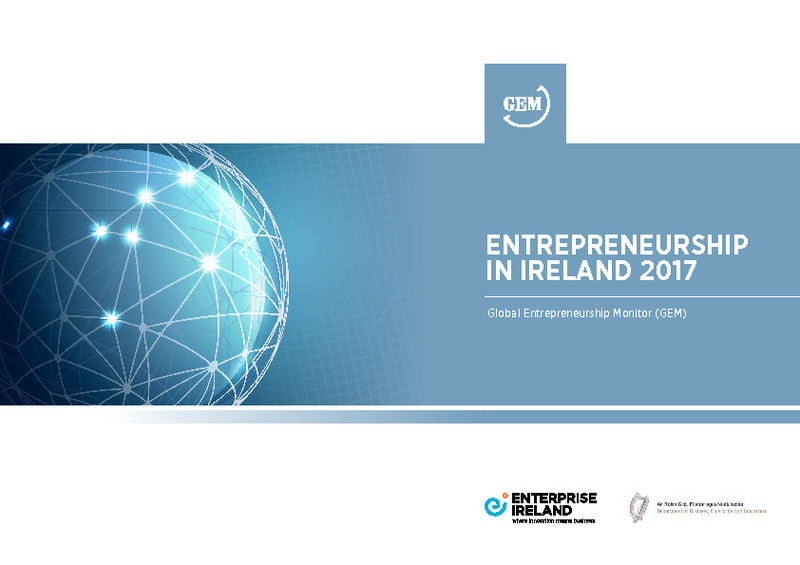 Ireland is highly ranked by experts on a number of measures, including government policies (the European Commission rates it second to Estonia among European members for its public administration being responsive to SMEs’ needs) and entrepreneurial finance, but less favourably when it comes to the provision of entrepreneurship education and the country’s internal market dynamics. The policy of the Irish government for a number of years has been to create an ecosystem supportive of entrepreneurial activity in which sustainable new businesses can be established. Writing in the foreword to a recent GEM annual report, Richard Bruton, the then Minister for Jobs Enterprise and Innovation, said: “The challenge for Ireland is to sustain and build on this entrepreneurial effort so that businesses can emerge which are innovative, capable of growth and able to match international competition on home and export markets. These are the types of businesses that will be key drivers of employment creation”. It is against this background that the New Frontiers Programme, which aims to develop sustainable new businesses with strong job creation and growth potential, was developed. The programme evolved from the Enterprise Platform Programmes which had operated at the Institutes of Technology between 2001 and 2011. In 2012 the programme was transferred to Enterprise Ireland and revised to create a single national programme delivered across 17 locations by nine Institutes of Technology (with participating universities). Each year the programme helps 150 entrepreneurs to start new businesses, providing a mix of funding and support, while annually more than 700 applications are received from potential entrepreneurs. Phase 1 enables the entrepreneurs to test their business idea on a part-time basis over a two-month period. It serves as a pre-screening for the second phase, which makes up the core of the programme. Phase 2 requires a six-month fulltime commitment on the part of participants. Participants that are selected for this phase receive intensive training and development, a hot desk at the Institute’s incubation facility, mentoring and a stipend of €15,000 from Enterprise Ireland (which is subject to satisfactory progress against their business development targets). Depending on their progress, participants can also get access to networking opportunities with potential investors and Enterprise Ireland staff. Participants don’t necessarily have to attend Phase 1, if they can successfully pass the selection process for Phase 2. However, generally, in excess of 80% of Phase 2 participants will come from the preceding Phase 1 of the programme. Phase 3 of the programme provides an opportunity for entrepreneurs to remain for up to three months within the Institute of Technology, while implementing their business plans, generating revenue and raising finance. No further stipend is provided for this phase. As part of the programme, the Institutes of Technology are funded and contracted by Enterprise Ireland to manage the processes of recruitment, application selection, training, and other programme duties. Enterprise Ireland staff are involved in the selection process at Phase 2, while also carrying out ongoing progress reviews and mentoring of participants. They also help participants to access further Enterprise Ireland funding. Enterprise Ireland promotes the programme nationally and hosts networking events and guest speakers for participants. A competitive recruitment process and a pre-screening phase, together with rigorous progress reviews, ensures that only high calibre participants are selected and retained on the programme. The programme differs from privately funded accelerator programmes in that its main focus is initially on the entrepreneur rather than on the business. Consequently, the programme does not take equity. The objective is to progress the entrepreneur’s business concept to the stage where it can be viewed as an investable business. Those who have successfully completed New Frontiers are in a strong position to apply for further support from either Enterprise Ireland or their Local Enterprise Offices. Funding has been approved to continue the programme over a five-year period between 2016 and 2020, with an annual programme budget of €4.25 million ($4.8m). Between 2013 and 2015, 750 entrepreneurs participated in the programme, establishing over 300 new business start-ups and creating over 750 jobs. The number of women on the programme has grown to about 35% of participants. Over two- thirds of participants on New Frontiers are based outside the Dublin region. In the coming years it is projected that New Frontiers will produce 100 sustainable businesses annually, of which 15 to 20 will also receive additional support from Enterprise Ireland as designated High Potential Start Ups (HPSUs). The remainder will most likely receive support from their respective Local Enterprise Offices. 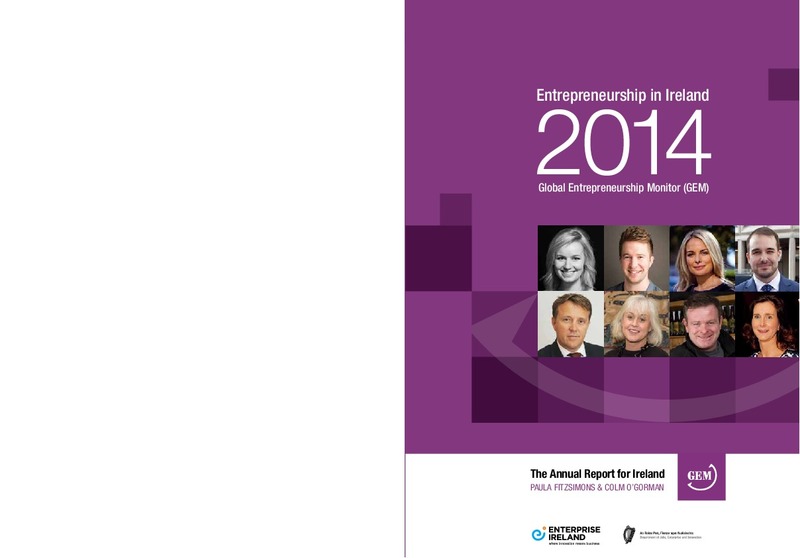 The Irish GEM report 2014 is supported by Enterprise Ireland and the Department of Jobs, Enterprise and Innovation. It was launched by Richard Bruton TD, Minister for Jobs, Enterprise and Innovation in September 2015. 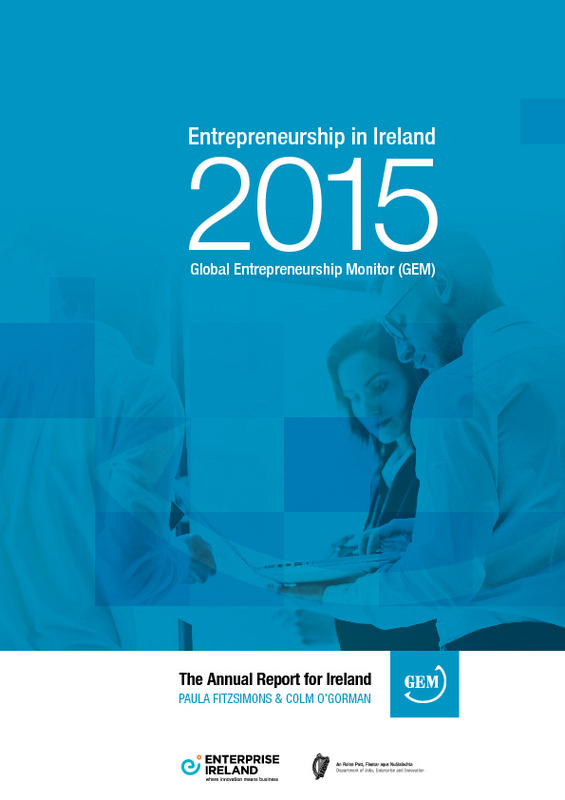 The annual GEM Report for Ireland. 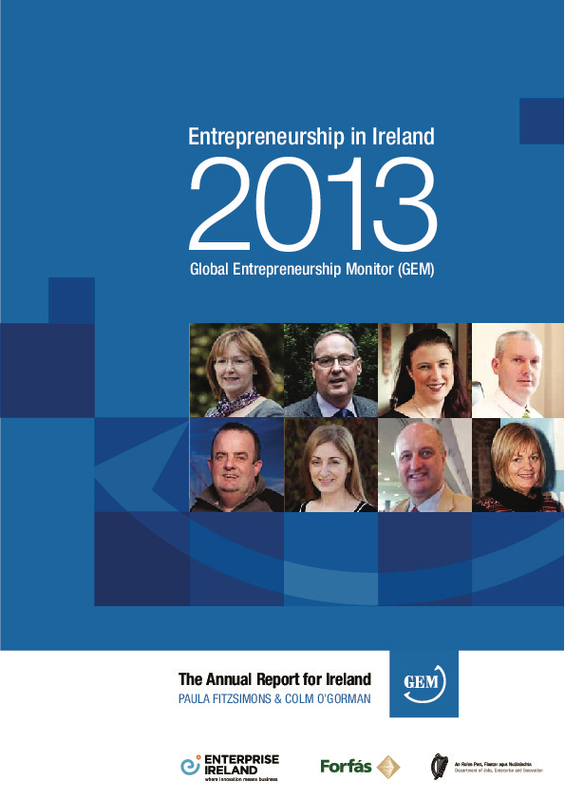 Entrepreneurship in Ireland in 2013.